This handsome, warm-orange-and-brown brick apartment building was erected in 1915 and converted to a cooperative in 1988. The 12-story building, which has 83 apartments, stylistically is related to the adjoining 13-story building at 588 West End Avenue in that it has attractive window reveals on the lower and top floors. These floors, however, are not aligned with the other building. This building has a heavily rusticated base, fluted pilasters and a small cornice. It also has a concierge and a large, albeit rather incongruous, glass-block window adjacent to its canopied entrance. The building has protruding air-conditioners and consistent fenestration and a three-step-up entrance. 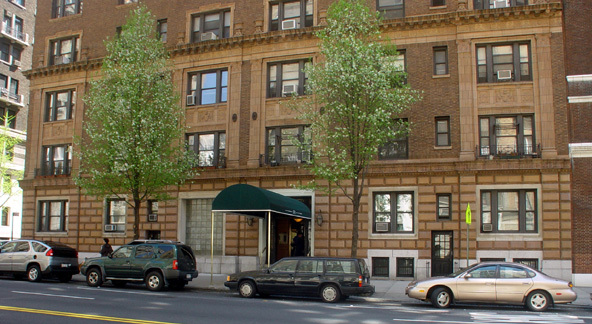 It is very convenient to excellent crosstown bus service on 86th Street and not far from a local subway station at 86th Street and Broadway. 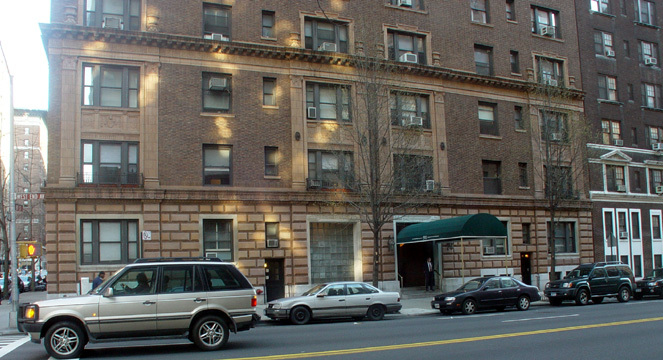 This area has undergone significant upgrading in the 1980's and 1990's and is now one of the most desirable on the Upper West Side.